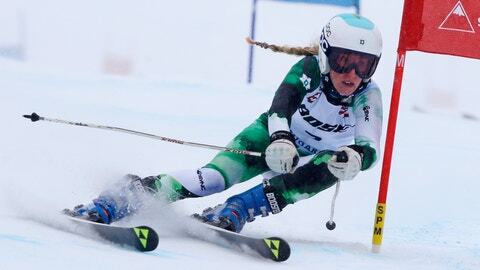 Foreste Peterson confronted a cold reality after four years on the U.S. ski team development squad and four more competing at Dartmouth College : Her racing days were about to end. Not ready to retire, there were not many other avenues, either. Time to put those environmental and geography studies to use , Peterson reckoned. The 25-year-old Peterson is a member of Team X , a newly formed all-female development ski team out of Park City, Utah, that’s trying to become an alternate way to prepare the next generation. So far, the squad is comprised of four racers from all over the globe, two coaches and two ski servicemen. Backed by private capital and led by coach Jim Tschabrun , the racers are being prepared to compete on the NorAm and Europa Cup levels, along with possibly even at World Cup races. Last weekend, Peterson earned a spot through the U.S. team to compete in the giant slalom at Killington, Vermont. She nearly earned a second run, too.